The Convertible Bench by de Breuyn from the debe.detail Collection does credit to its name and has space for two at different heights. The bench has three seat heights for children over one year old. The debe.detail Collection consists of individual pieces of furniture that can be combined with each other and with any other de Breuyn collection. The Convertible Bench from the collection has three seat heights: 17cm for one-year-olds, 22cm for two-year-olds and 32 cm for children over three years old or adults. Thanks to its low centre of gravity and its weight, the Convertible Bench cannot fall over and is even safe for climbing toddlers. The Convertible Bench by de Breuyn from the debe.detail Collection is available in solid beech or birch plywood with white HPL and coloured seats. 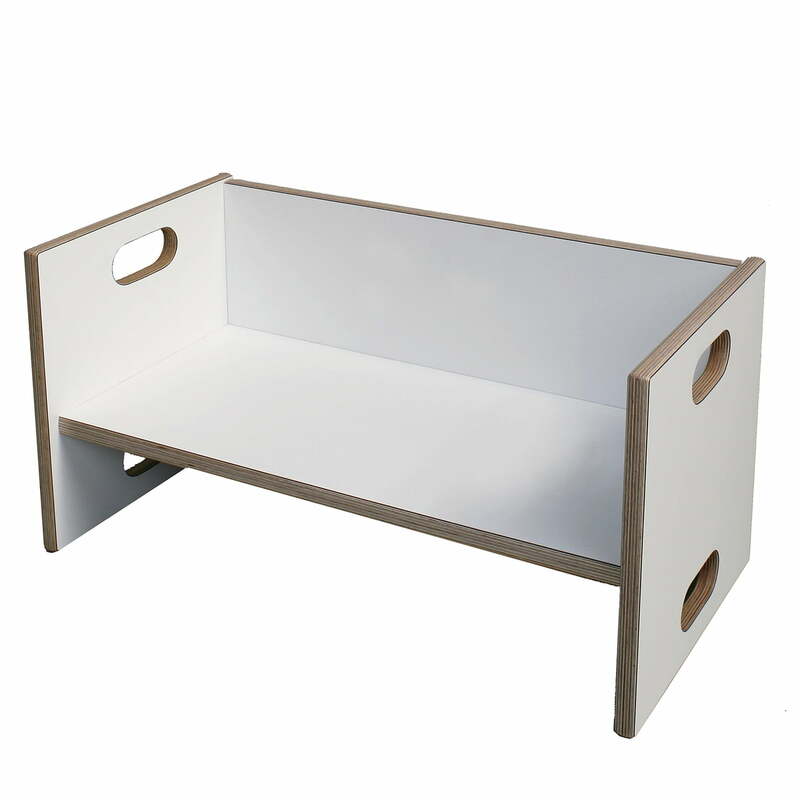 Individual product image of the Convertible Bench by de Breuyn in solid beech in white. Thanks to its low centre of gravity and its weight, the Convertible Bench cannot fall over and is even safe for climbing toddlers. The Convertible Bench for two children by de Breuyn from the debe.detail Collection. The debe.detail Collection consists of individual pieces of furniture that can be combined with each other and with any other de Breuyn collection.